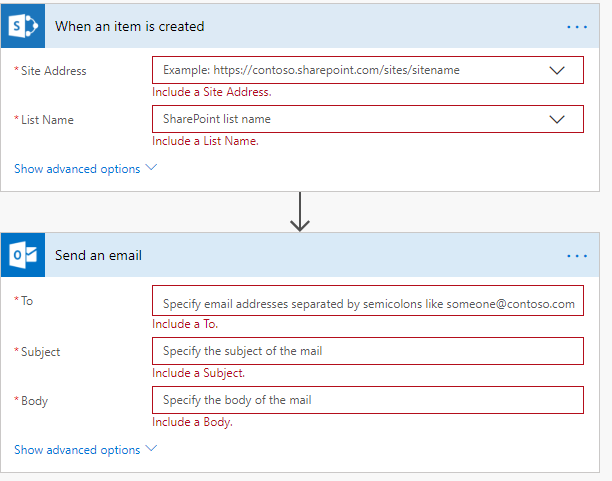 I am trying to figure out how to send an email for a particular column of a sharepoint online list which is created. When the SAVE button is pressed, it should send out an email. Can anyone help me with this? What you need there is to use a workflow (or MS Flow if you have the subscription for it). If you can use MS Flow i strongly suggest you do. Its a bit messy since they're still developing it, but its more future-proof.